Planning a trip to Anaheim? Looking for great places to eat, top notch hotels to stay at, or one of a kind entertainment? 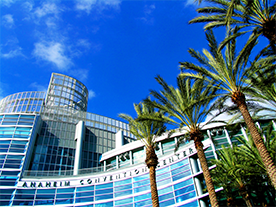 Check out Visit Anaheim to help you plan your Anaheim adventure! The Affordable Rental Housing Program consists of multifamily apartment complexes throughout the City of Anaheim that include affordable units. The City of Anaheim has agreements with the owners of these units to maintain rents at levels below regular market rent rates. If you have previously enrolled in the Affordable Rental Housing Interest List using a paper enrollment please click here to locate your enrollment and create a user ID/account. Once the enrollment form is complete, the system will generate a confirmation number for reference. Please write down the Confirmation Number and keep it for future follow-up information. Submit only ONE enrollment. Duplicate enrollments will not be accepted. Note: You will need your first and last name, social security number and birthdate to locate your account. As affordable units become available individuals on the interest list will be notified by mail of the availability of an affordable unit; However, the Program does not control the availability of units. This is not the Section 8 rental assistance program. Households are responsible for the full amount of monthly rent and utilities as appropriate. I am a resident of the City of Anaheim. I, or another adult currently work in the City of Anaheim.